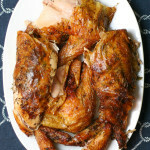 Roasted chickens are the quintessential winter comfort food. They’re ridiculously easy- just season & pop in the oven for an hour and a half. 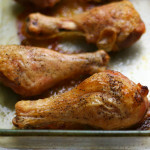 The result: tender moist meat + crispy delicious skin. 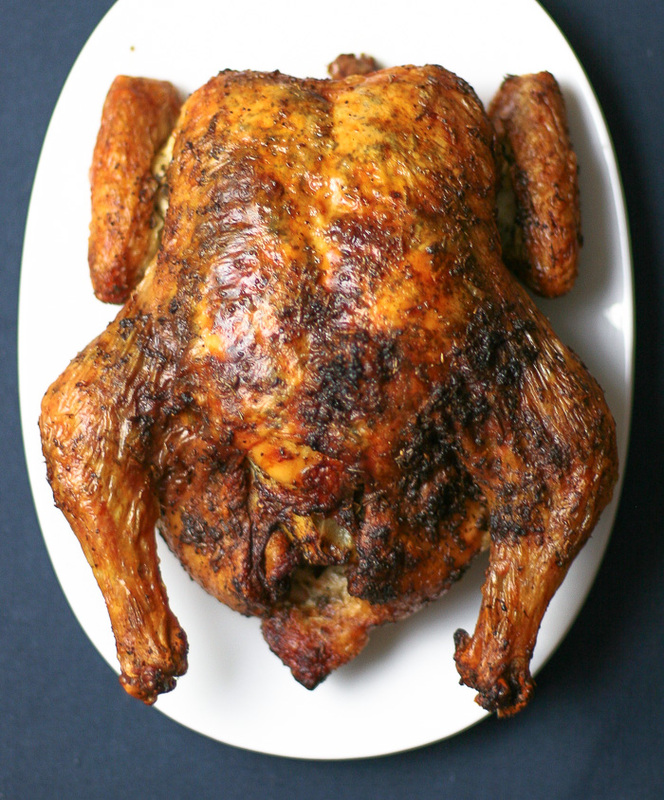 The secret to that ultra-crisp (not fatty or slimy) skin is high heat roasting. 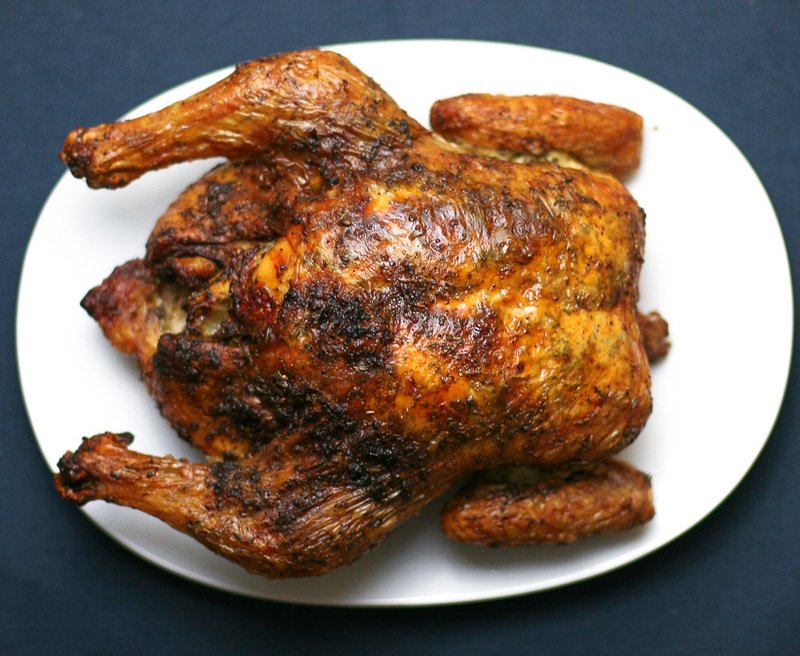 It cooks away all the fat in the skin, leaving a savory, crispy delicacy that makes home roasted chickens 500x better than store-bought. 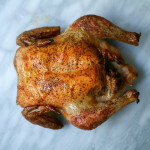 I’ve already posted an awesome recipe for the most basic way to roast a chicken: Classic Roasted Chicken, so it’s time to spice it up! 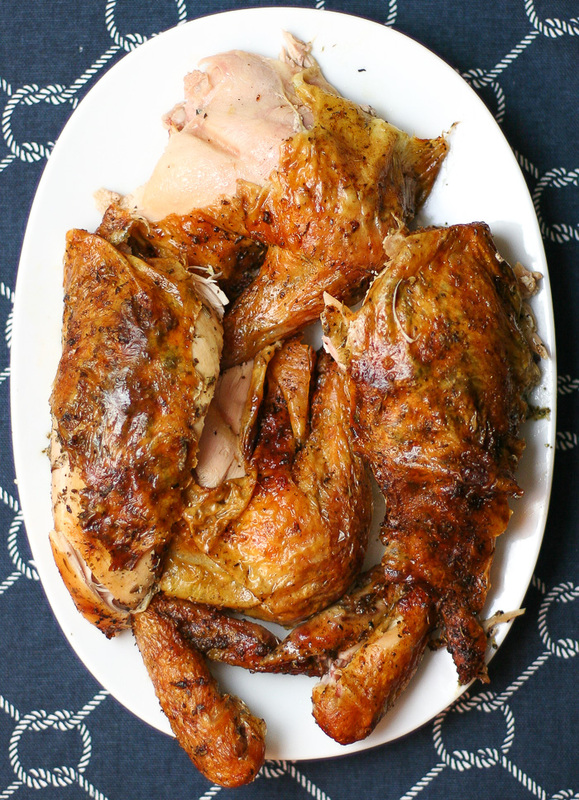 This chicken is slathered in butter, lemon zest, herbes de provence, and salt and pepper. It’s a French spice mixture that you can either buy pre-mixed, or make yourself. My favorite part is that it includes fragrant & floral dried lavender, which can be hard to find by itself. That special ingredient takes the spice rub to a whole nother level of deliciousness. Typically, herbes de provence also contains a blend of other dried herbs (the exact herbs used & their proportions vary by brand). I used O Organics brand, which is a nice blend of basil, fennel, marjoram, parsley, rosemary, lavender, tarragon, and thyme. These French herbs pair SO well with lemon, garlic, butter, and savory roasted chicken. 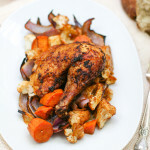 It’s a great change up from a basic roasted chicken. Nom Nom.